I know...it's been a while...despite starting early in the year and remaining on schedule all along... an unexpected delay happened at the printers. One that they couldn't solve, and took almost two weeks.. what can you do? 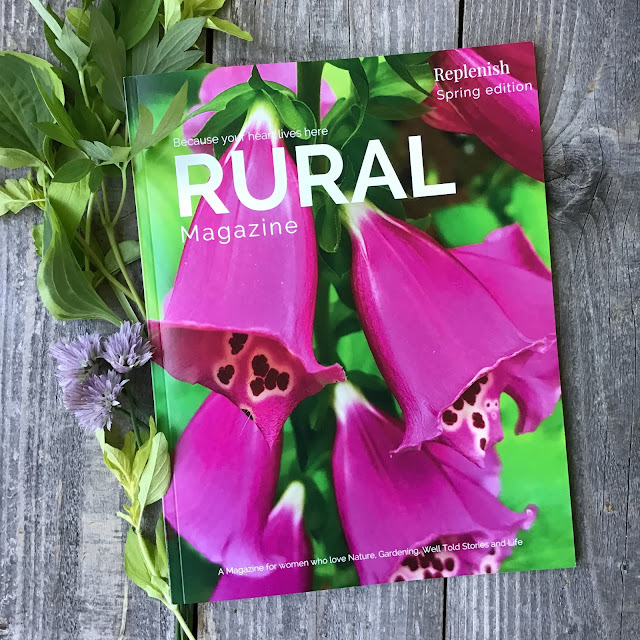 Not much, in fact, all the emails back and forth to support took so long.....but good news, the latest issue of Rural magazine called Replenish is now ready if you are interested in purchasing a copy for yourself, or someone who might enjoy reading this keepsake magazine. 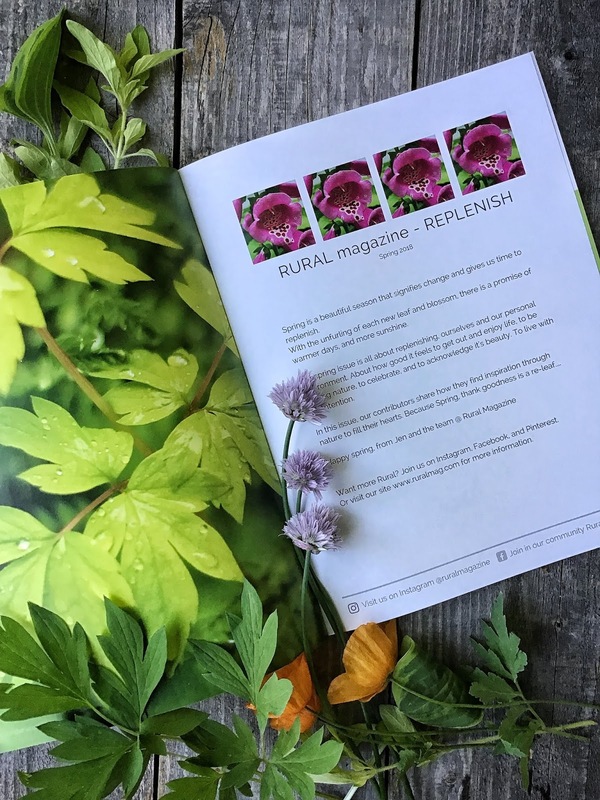 It's full of lovely photography and "well told" stories about how our contributors find ways to replenish themselves...printed in full color on gorgeously thick paper, this is an art book style magazine...well worth ordering. It's a great read, and at 44 pages it's full of wonderful stories, and gorgeous images. If you are interested in purchasing a copy click here to be taken to Blurb's site. At this point you may be asking where's the digital issue...it's coming very soon. The print issue was too large to upload to Issuu, and has to be trimmed a bit...just like so many of the plants in my garden. So please hang on just a little while longer for the free digital issue...it's coming soon. 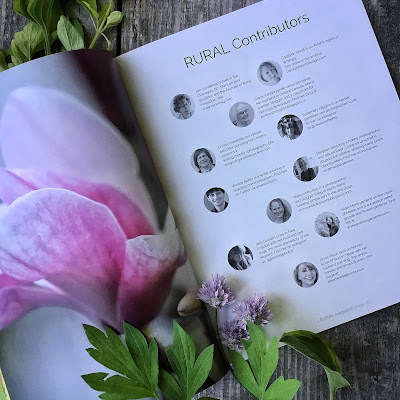 Congrats and also congrats to my sweet friend Jemma for being your newest contributor. Thanks so much Linda, it was a wonderful experience to get to work with Joyce on this issue. Click on the image below to read blog post. Shrouded in smoke from the forest fires the garden was still calm without a breeze. Sitting so quietly and waiting like the rest of us for the hope of a cooler summer day. It was one of those remarkable temperate days that stuck in your summer memory, brought out during winters chill when you could no longer feel your fingertips...full of lush green growth, and generously spreading warmth....the rare one that seem to come only as the bookends of summer. Hot syrupy light was poured over everything that night... the kind that is so worth venturing out into the hot night for..the light...it laughed as it swirled among the petals, and wound through the stems of the flowers....glowing amongst soft leaves and glittering off of hard reflective surfaces. The heat radiating outwards, earth smelling of the scorched fabric...like an old-fashioned ironing board.